I’ve met a lot of pro woodworkers during my 15 years at FWW, enough to know that is it not an easy way to make a living. Going from a hobbyist to a pro mentality is the key. 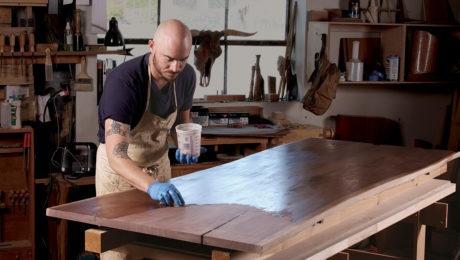 This guide, from a successful furniture maker in the Pacific Northwest, is one of the best I’ve read. 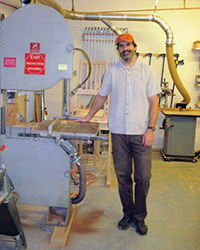 His name is Tom Dolese, and together with his wife Jennifer, he builds and teaches for a living. But he also reached out to a host of other successful pros to come up with this fantastic guide to success. Skip any of these 28 tips at your own peril. Building Furniture has been an interesting and rewarding career for me but looking back there were misconceptions I held that slowed my progress. I’ve had a number of apprentices and young woodworkers who started out in my shop and it has been informative to see how their own approaches to the business of woodworking have determined how successful they are. And it got me thinking of what words of advice would I give the much younger me and other woodworkers embarking on a woodworking career to help them avoid some of the common pitfalls. 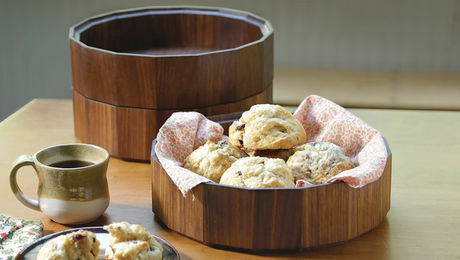 I’m in the business of woodworking as Terra Firma Design, with my wife, Jennifer. Jennifer does Marquetry and leaded/stained glass work and we collaborate on table and floor lamps and on lighting fixtures. 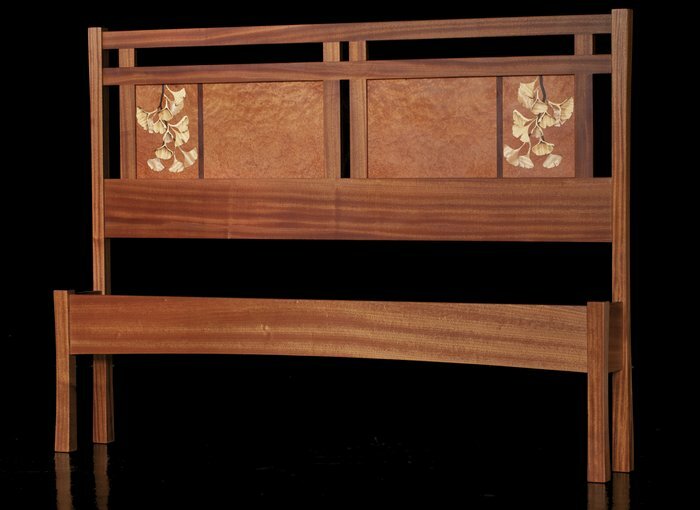 We incorporated Jennifer’s marquetry in some of our furniture pieces. look at what is involved in running a legitimate business. I’ve been fortunate to have been a partner in a couple of shops with other professional woodworkers and observed their strengths and weaknesses. Jennifer and I are also members of two cooperative galleries: Northwest Woodworkers Gallery in Seattle and Artwood in Bellingham. 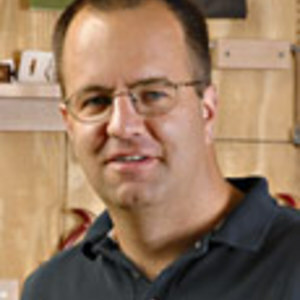 Some of these members (Curtis Erpelding, David Gray, Hugh Montgomery, Hank Holzer and Seth Rolland) have had long and successful careers and contributed their thoughts on advice to young woodworkers starting out. Michael Fortune also weighed in with an illuminating and comprehensive response. With this input I’ve come up with a list of important points that may be helpful for someone starting out on a woodworking career. 1. While what you do in your shop is very important, how successful you’ll be will be determined mostly by your attitude toward and the effort and work you put into the business side of woodworking. I believe every successful woodworker I know realizes the importance of things that don’t come naturally to many woodworkers: marketing, networking, forms of advertising and presenting yourself, educating potential customers, methods of making a sale, etc. Some young woodworkers (me included long ago) have a “Field of Dreams” mentality, thinking that they can just concentrate on building beautiful and finely crafted pieces in their shops and this in itself will draw clients in who will buy their work. Building furniture is generally the easy and enjoyable part, having people take notice and actually buy your pieces is the real challenge and yet can provide the most satisfaction. 2. Embrace the fact that you are in the business of building furniture. 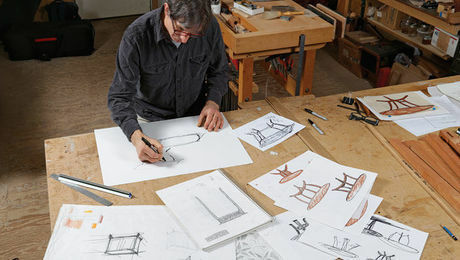 Woodworkers have a tendency to associate business practices with being deceitful and encouraging compromises in quality (or their character), derailing them from the higher pursuit of building furniture. Woodworking is a wonderful endeavor, but marrying that with honest and good business practices ensures that the work and the career continue. 3. Concentrate on ways to make pieces precisely and efficiently in your shop. I think this takes a modest investment in time and tools, but is worth it. I’ve been surprised by how many woodworkers limp along building furniture in a cumbersome fashion, requiring an array of jigs and time to make every new piece. Long ago I bought an elegant horizontal mortiser and it has enabled me to do complicated joinery precisely, with a minimum of jigs and time involved. 4. Don’t make assumptions about potential clients (or anyone who happens to walk into your shop). People who are likely to buy your furniture will generally be expecting to pay more than you might consider for a piece of furniture. And try to give them a range of options and prices. Also, keep an open mind when anyone walks into your shop. They may be a good customer, regardless what your first impression might be. 5. Consider your market for selling furniture and seek out larger markets that are nearby. We live in a medium-sized town in northern Washington but a significant portion of our work is sold to folks living in Seattle 90 miles south of us. 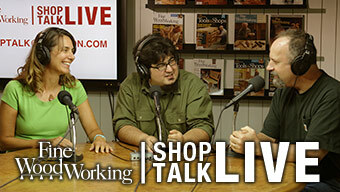 One of the main reasons we joined the Northwest Woodworkers Gallery was to gain access and exposure to that market. 6. Most people buy things because of how it makes them feel, not because of you or who you are. I know of a couple of woodworkers who are charismatic enough to draw clients in, but I’d be out of luck if I was depending on that and most other woodworkers I know would be, too. Usually, clients don’t really care that you faithfully ride your bike to work or donate to the Food Bank every year. 7. Expecting to sell and valuing your own work and expertise can go a long ways in making that happen. Your attitude when selling is sensed by those looking at your furniture and if you value your pieces and think they should sell, then clients are more likely to think the same thing. 8. Try to add some diversity to your business. 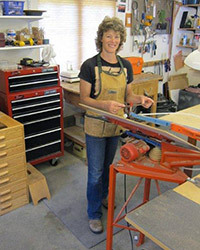 Build built-ins, learn Marquetry (or better yet, have your partner take up Marquetry like Jennifer did), forge relationships with other woodworkers and craftspeople and collaborate. For me, teaching woodworking classes has really filled in when furniture sales slowdown. Being involved with the development and sales of a horizontal mortising machine has helped, too. 9. Value your work. If you aren’t making a livable wage selling your pieces than you aren’t doing yourself or your fellow woodworkers any favors. 10. Develop a relationship with a good gallery. The longer I build and sell furniture, the more I value what a good gallery does for me. Their portion of the proceeds is what I’d be spending in time or money on making a direct sale. 11. 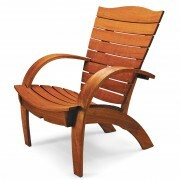 View other woodworkers in the business of building and selling furniture as colleagues and not competitors. I’ve gained much by sharing my work and expertise with others interested in the craft and it has always paid greater dividends back. I’ve personally benefitted from being a partner in shops, gallery cooperatives and from teaching and having apprenticeships. 12. Buy tools with segmented spiral cutter heads or upgrade your existing tools with new cutter heads. I tried a Byrd Shelix cutter head in one of my jointers about 3 years ago at the recommendation of another woodworker and within a few months all my primary woodworking machines had Shelix cutter heads in them, including the flush cutting bits for my shaper. They reduce tear-out, are quieter and save me time down the road when it comes to sanding and finishing. 13. Consider the flow in your shop. Spend the time looking at the common tasks and your sequence for processing stock and doing your work, and then set up your tools and benches to optimize the flow in your shop. I think a number of rolling carts of different heights that can follow you around with the work in progress make things more efficient. 14. Have professional quality pictures of your work. 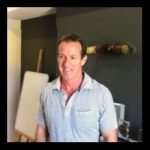 The better the images of your pieces are, the more likely you are to sell your work to prospective clients. 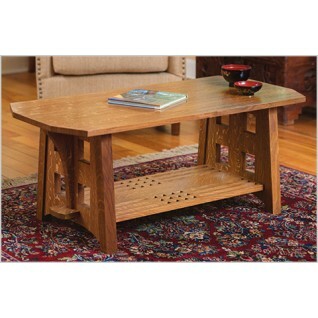 I’m surprised by how many woodworkers believe that potential customers will somehow look beyond a poor quality image. Have current and attractive business cards on hand, too. 15. Everyone should have a high quality website that gets updated regularly. 16. Take the time to tune your tools and keep things sharp. This applies to both hand and power tools. Most of the power tools I’ve bought over the years have been brought up to specifications with a dial indicator. The quality of the stock produced lays the foundation for building furniture pieces and makes everything go together more precisely and easily. 17. Slow down at critical steps. Long ago I had a commission to build all the furniture for a law office and I hired one of my partners in Missoula, Kent Perelman, to help me. He taught me that there are certain stages when you are building furniture where it pays to consciously slow down and take your time with the task at hand, without worry of a ticking clock. This insures that the subsequent processes will go more smoothly. 18. Invest the time to come up with new designs. I’m usually compelled to do this from my commission work, but I think it is important to not stagnate and only build what you have done before. My inclination is to be pretty conservative, but the best pieces I have built were the ones that I wasn’t sure if they would turn out or not. 19. Have and use regularly a good quality bandsaw. I underused the bandsaw for many years. It’s safer and more efficient than a table saw for processing stock and can do very precise work. Buy blades that have fewer teeth per inch and augment the dust collection. The Lennox “Woodmaster” carbide tipped blade 1.035 inch with 1.3 TPI is a real workhorse in my shop. 20. A work bench isn’t optional. 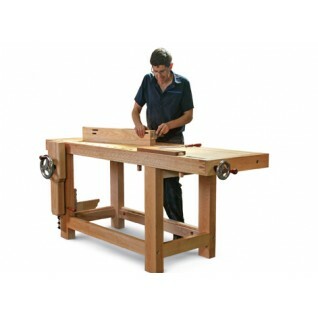 A good bench saves you time and energy as your plane, sand, rout or spoke shave the wood. When I started out I kept thinking I was going to build my own bench and when I finally bought one I wished that I had done that right from the beginning. 21. 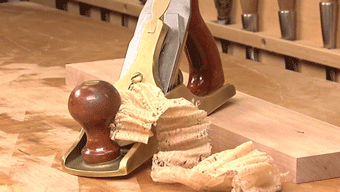 Take some woodworking classes. When I first began woodworking I had wandered through school for so many years that I didn’t consider taking a woodworking course. That was a mistake. The folks taking my classes are exposed to most of my methods of work in just a week and I would have benefitted greatly if I had done the same or more many years ago. I’d take some business classes if I was to do things over again, too. 22. Leave your plaid pants at home when meeting with clients. This one came directly from Michael Fortune. The image you project (how you are dressed, your car, your attitude) is all gauged by your prospective clients and can help pave the way for how much they might expect to pay for one of your pieces. You might want to consider the same strategy if you are in the market for a husband or wife. 23. Complete work in a timely manner and as promised. I think it’s disrespectful to not come through when you say you’ll have a piece done. And if it becomes apparent that you aren’t going to be able to deliver when you said, I think it’s important to contact the clients as soon as possible. Furthermore, if things don’t go well when building commissions, for whatever reason, don’t be tempted to deliver a piece that isn’t up to snuff just because you aren’t making as much money as you anticipated on that job. That piece will be representing you for a long time to come and you are also building a relationship with a client. 24. Consider having a “Sawstop” in your shop. I really like my Unisaws with the Unifence, but because of the teaching that goes on in my shop I replaced one of those saws with a Sawstop. That table saw is well designed and made and I think the possible safety benefits are worth having when you are using a table saw day after day. 25. Metal cutting end mills are a good value. You can buy spiral, solid carbide end mills that work great for a variety of woodworking tasks at a fraction of the cost of woodworking bits. I stumbled on that fact long ago and almost all my straight cutting router bits are metal cutting bits. 26. Don’t buy anything less than an 8 inch wide jointer. The woodworkers I know who opted for a 6 inch wide jointer were all frustrated in a year’s time and were looking to sell and go bigger. 27. Moving blankets will save you time and some grief. It’s much easier to protect your pieces from damage and the weather if you can just wrap them up in a thick moving blanket. And you’ll save time when packing things up. 28. Take notes when you build new pieces, keeping track of the time required and any techniques that you employed. I’ve been surprised how soon I forget how I went about building a particular piece of furniture and it’s time and money unnecessarily wasted if I have to figure things out again. It turns out, these many years later, that I can’t think of a better career for me than making a living as a woodworker. However, incorporating some basic business practices and dispelling some misconceptions earlier on would have made things easier and more satisfying for me and it’s my hope that some of the suggestions above might do the same for you. Jennifer Dolese is Tom's wife and business partner. 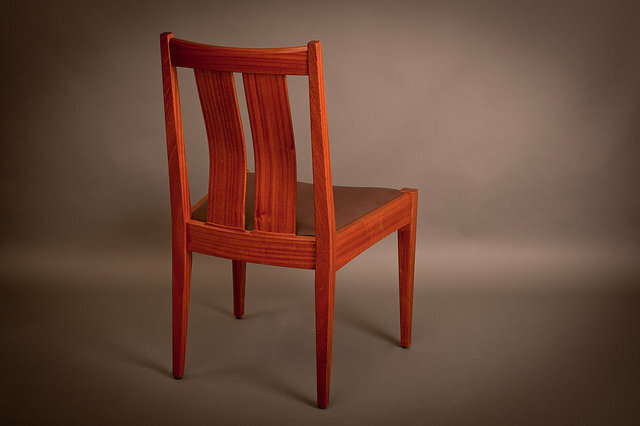 A mahogany dining chair, by Tom Dolese. 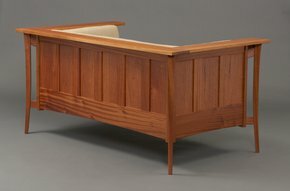 Dolese's take on a prairie-style settle. 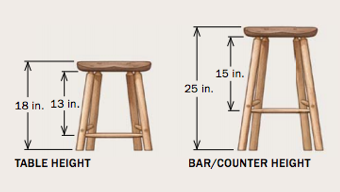 Great advice Tom, i would add two things; first, don't fool yourself into thinking that your work is somehow exempt from standard furniture dimensions. I suffered from this for the first few years of being in business. In other words, You're not going to blow the top off of design until you've learned the vernacular of the craftsmen who came before you. 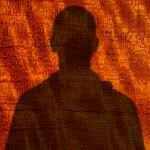 Drop your ego off before you get your business liscence. Second, take lots of breaks. This advice was given to me by Robert van Norman during a hand tool training course I attended years back at rosewood studio. 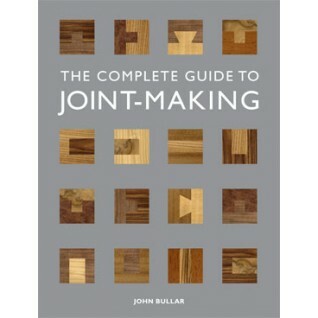 And don't get greedy while cutting your joinery. Building furniture is like any other skilled job – it doesn’t involve only skills but a lot of networking and marketing. Skills do matter still, but it is the networking and marketing that will allow you to break into the market. Marketing your skills is as important as building storage units for your clientele. Good skills need not go to waste just because there are poor marketing skills. Great article. I am disabled and have thought about building and selling just to support what I can do in my shop. I have learned some things I have not thought about.